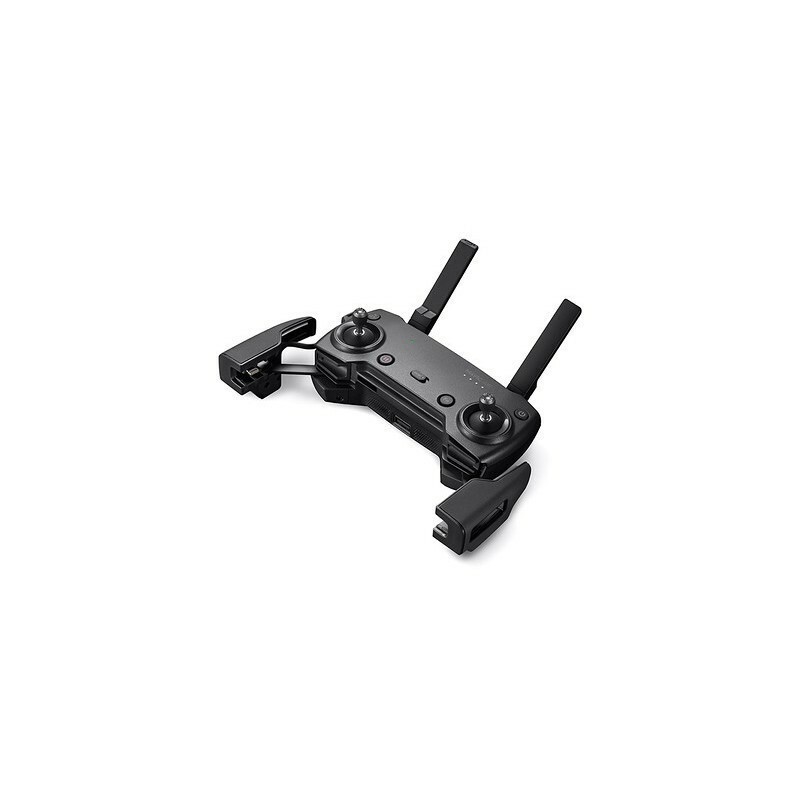 ActiveTrack can sense up to 16 selectable subjects simultaneously, letting you choose the right tracking subject. 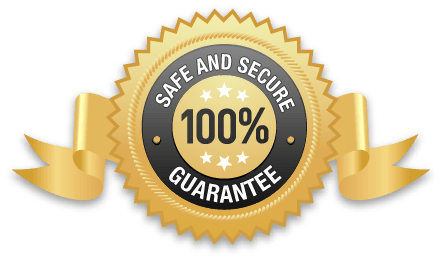 With higher tracking precision and broader scenario applications, ActiveTrack follows targets even when they’re running, jumping, or cycling. 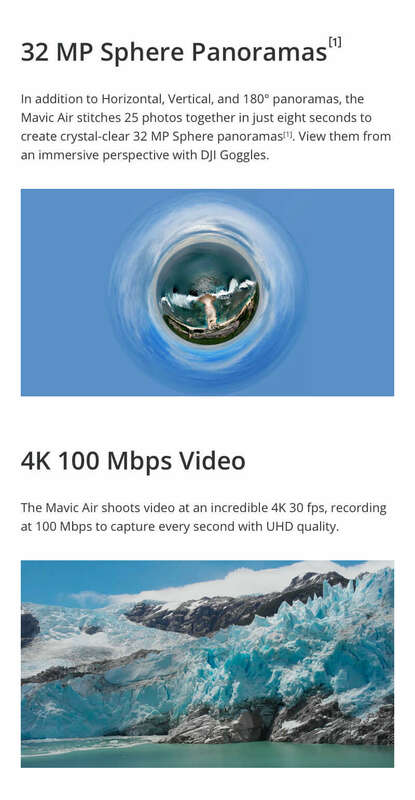 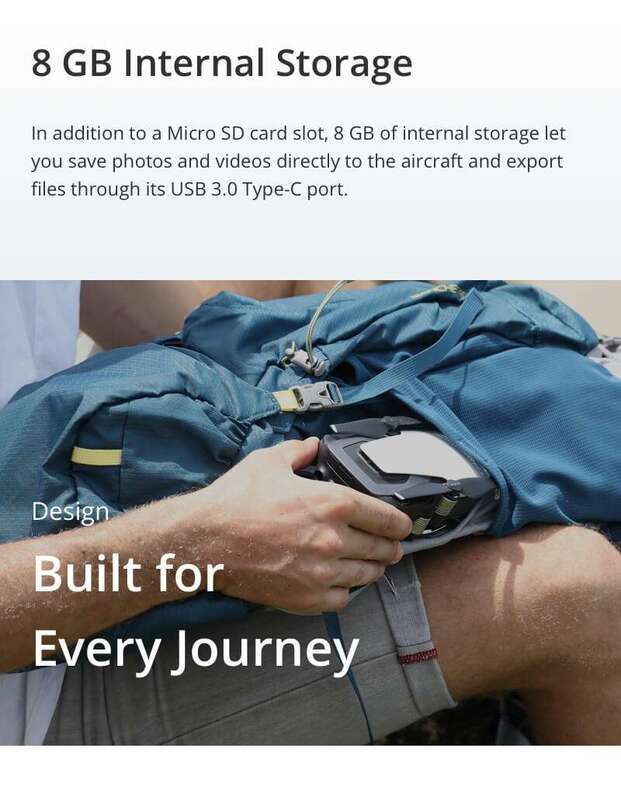 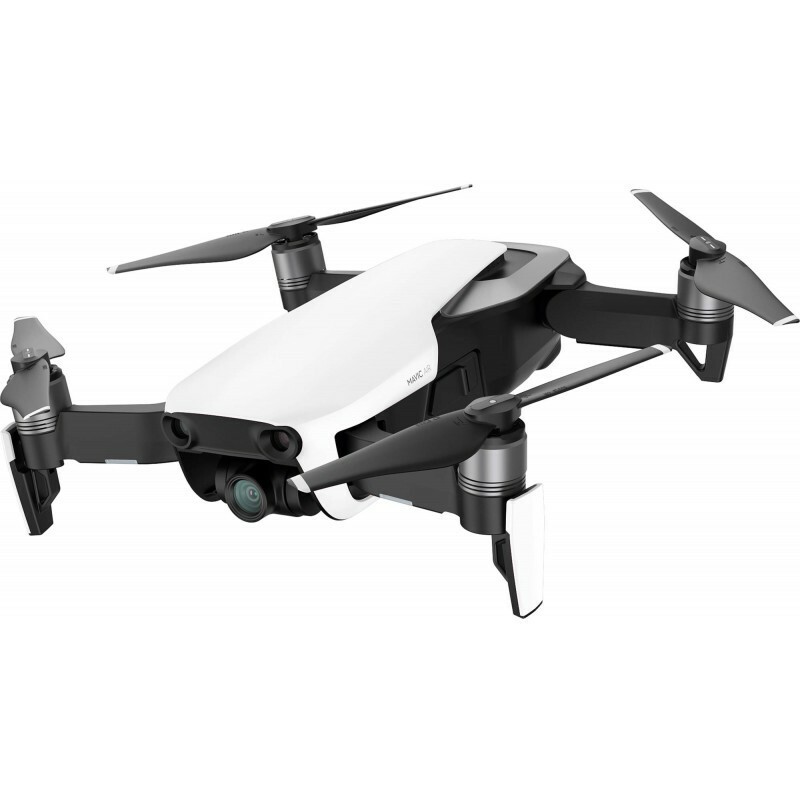 The Mavic Air shoots video at an incredible 4K 30 fps, recording at 100 Mbps to capture every second with UHD quality. 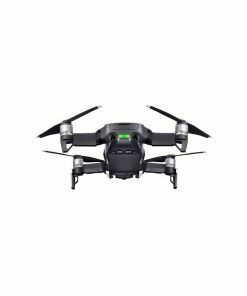 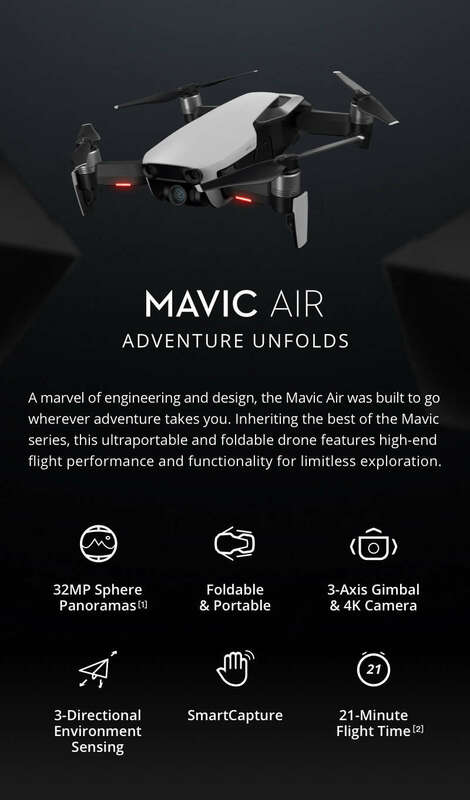 With support for recording 1080p 120 fps slow-motion video, the Mavic Air captures all your epic high-speed adventures. 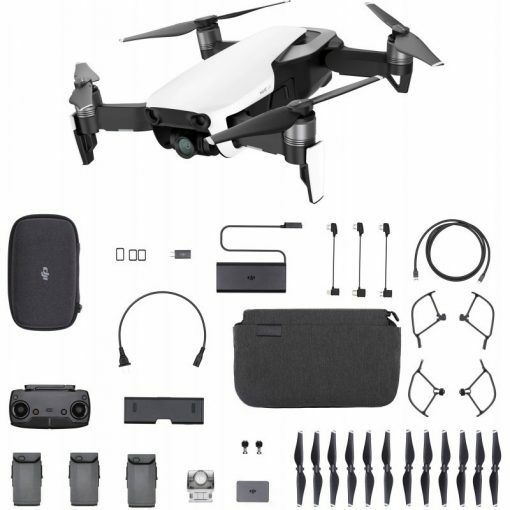 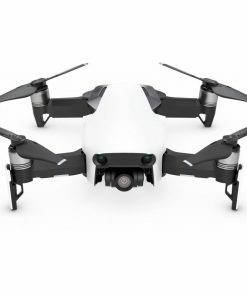 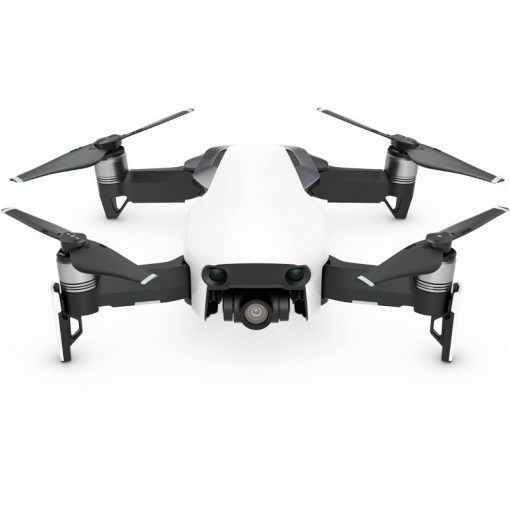 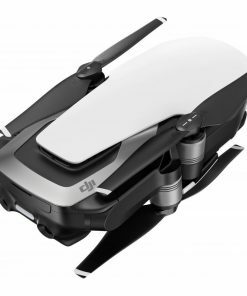 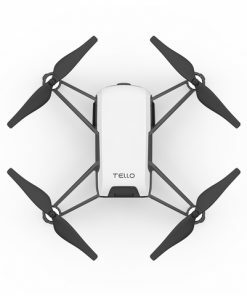 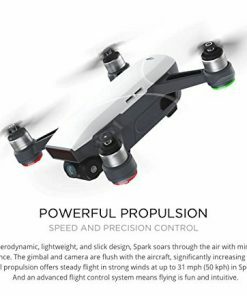 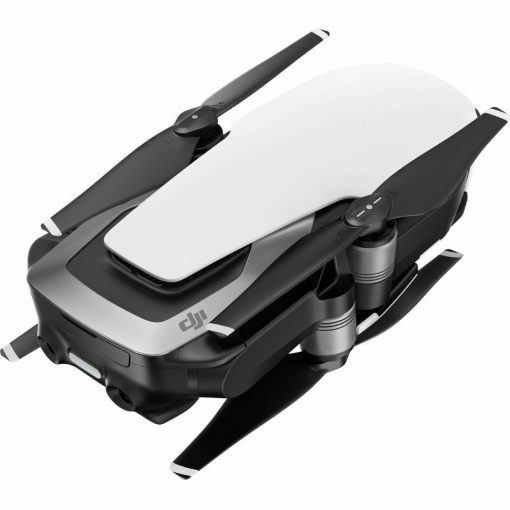 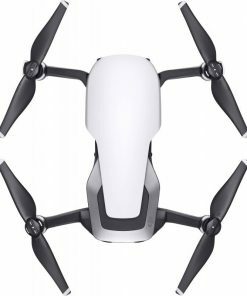 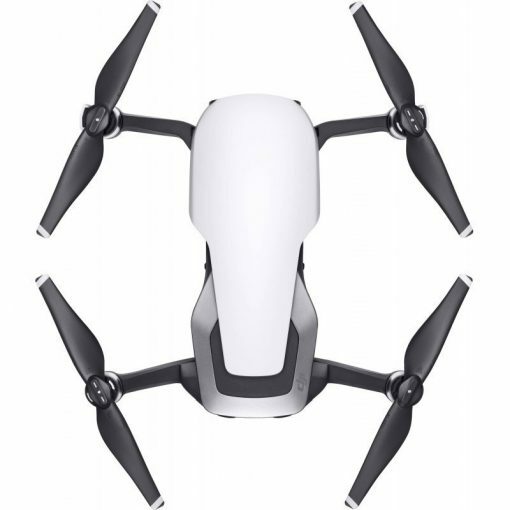 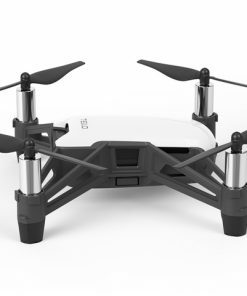 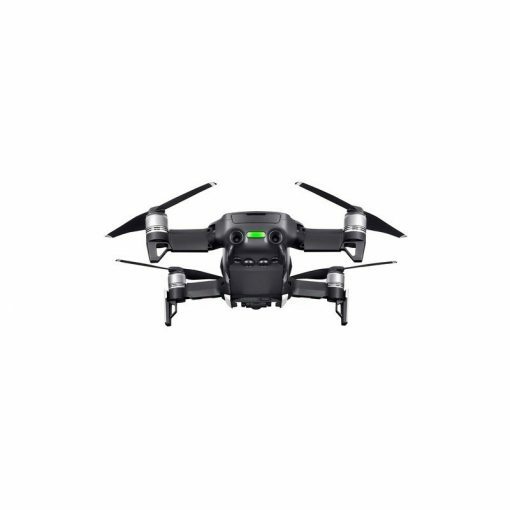 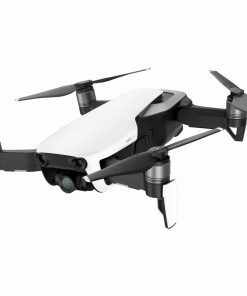 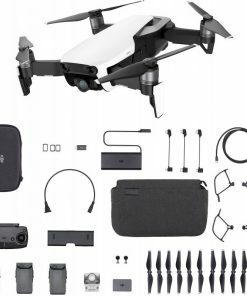 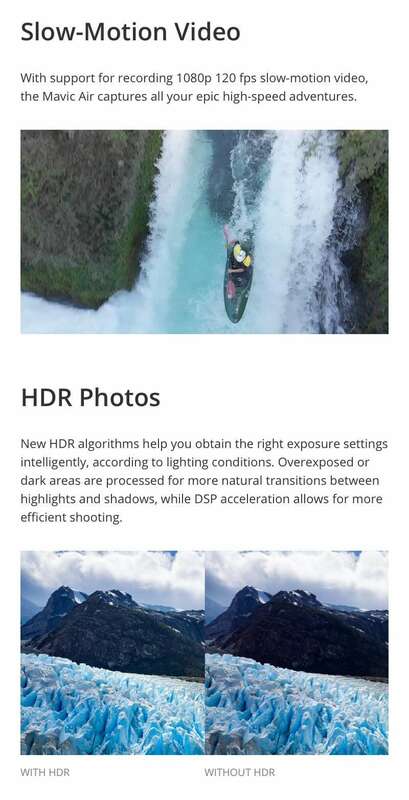 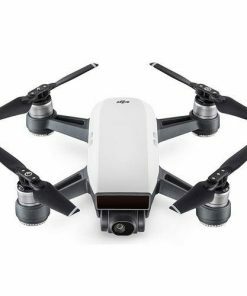 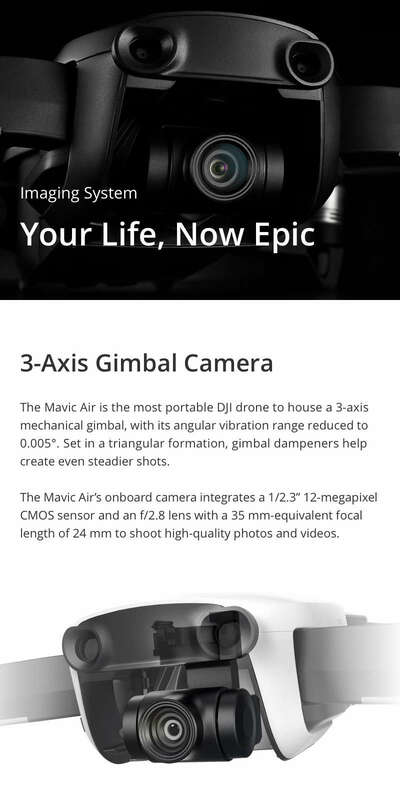 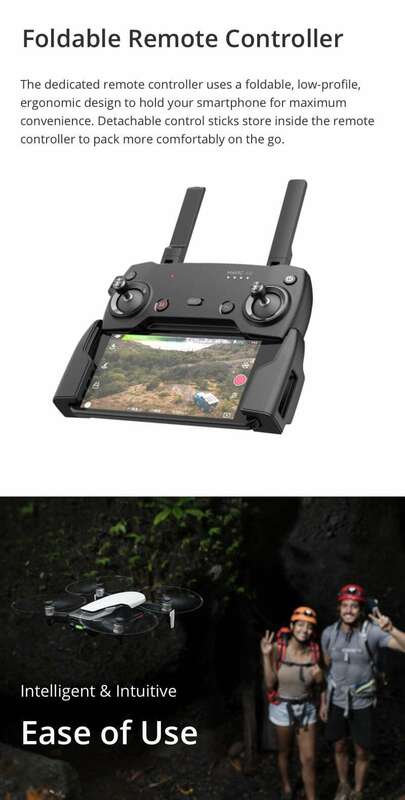 The Mavic Air’s onboard camera integrates a 1/2.3” 12-megapixel CMOS sensor and a f/2.8 lens with a 35-mm equivalent focal length of 24 mm to shoot high-quality photos and videos.